Unless you’re someone who constantly stays up to date with new and popular book releases, picking one off of the shelves that you will actually enjoy reading can be pretty difficult. Even when you look at Best Sellers’ lists, not all of the titles are something that you’ll actually be able to lose yourself in, which is why getting advice on some great reads is exactly what you need! We’ve found the top 5 New York Times’ Best Sellers Books that you have to get your hands on and read in November, especially if you’re looking for novels that you can recommend to friends and family. 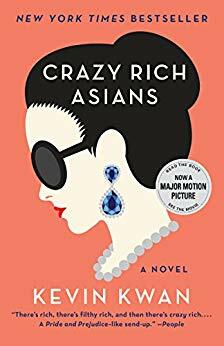 With its original release in 2013, “Crazy Rich Asians” was a book that didn’t catapult into popularity until the film adaptation that came out this year. With that being said, as with most movies, the book is by far more involved versions of the characters you fall in love with on the big screen. What makes this novel so interesting is that it gives you an in-depth understanding of the insanely rich families in Hong Kong, Shanghai, and Singapore. The entire novel is told from the perspective of five different characters and revolves around an over-the-top wedding with the most eligible bachelor in all of Singapore. At the end of the day, it’s a very unique twist on the traditional “poor character meets rich character and falls in love”, but in a nouveau way that modernized readers are going to surely appreciate. Created with the initial intention of introducing North American audiences to the rich culture of Asia, “Crazy Rich Asians” is surely a book to delve into. 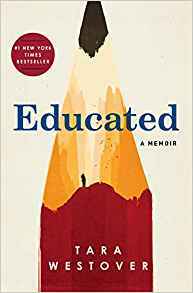 If you’re the type of person that’s really interested in novels that revolve around interesting societies and groups of people that you never knew existed until now, “Educated: A Memoir” by Tara Westover is another great read. It’s a full account of how Tara Westover grew up within a survivalist family with little to no insight into education and how she grows to move away from her family and obtain her Ph.D. from Cambridge. What makes “Educated: A Memoir” so refreshing is that there are hundreds of thousands of survivalists that live in the same conditions as she once did, with plenty of children wondering what else the world has to offer. It’s a healthy combination between a “breaking free” situation and a coming of age novel, however, it’s all based on real-life situations that Westover grew up with. We love the uniqueness and familiarity of some of the obstacles she faces throughout the novel, making it a relatable read for absolutely anyone. What we love the most about all of Hank Green’s novels is that they are so relatable for readers of various ages and they are incredibly in-tune with what the world currently is. 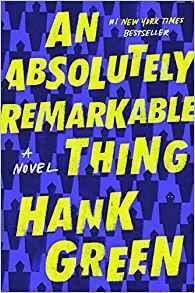 “An Absolutely Remarkable Thing” is another one of his New York Times Best Sellers and it’s certainly the type of book that is going to entangle you in its plot and have you wishing the chapters would never end. In “An Absolutely Remarkable Thing”, 23-year-old April May comes across a sculpture after finishing work very early in the morning. April and her friend Andy decide that the next best thing to do would be to take a video with the brilliant sculpture and wind up uploading the video to YouTube, only to find that the video becomes a viral sensation overnight. Even though the idea of becoming a viral sensation is something that most millennials in today’s day and age wish they could have, this novel shines a very realistic light on the situation. Not only does April May have to deal with pressure in her personal life, but she also begins to question who she is as a person and whether she can continue living the way she always has. It’s a very interesting twist on the word “famous” and what it really means to live your life online. 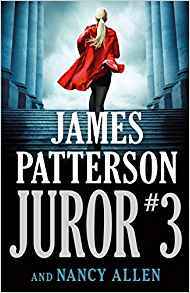 James Patterson is certainly one of the best selling authors in the entire world and you can guarantee that the vast majority of his novels will take you on an adventurous ride that you’ve never experienced before. “Juror #3” revolves around a small town in Mississippi where a woman was murdered. Ruby Bozarth, the main character, is new to town and also newly deemed a lawyer who is responsible for helping to find the murderer to close the case. What makes the novel so interesting is that since the murdered woman is from one of the most prominent families in the community, you can guarantee that everyone is out for blood and between the pressure of the town and the pressure of the prosecuting attorney, Ruby needs to figure out a way to figure out what secrets are being hidden and why. 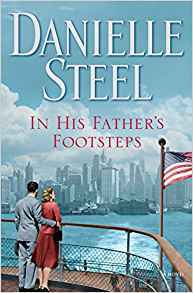 Last, but certainly not least, we have “In His Father’s Footsteps” by Danielle Steel. It’s a very powerful read that will bring up emotions that you might have never known you had before, especially as it has to deal with a World War II concentration camp. Revolving around the two survivors and how they build a brand new life together, their son begins to go through an ample amount of struggles trying to adapt to the life of being a first-generation American citizen. If you’re looking for a book that is going to make you truly feel the raw emotions and understand what it means to start anew in a foreign land, this is one of the best reads to take under your wing. 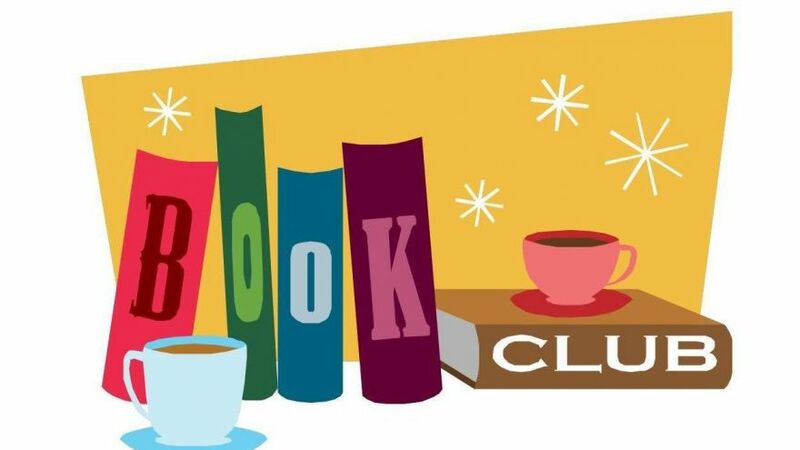 With millions of books in the world, you can bet that every week you’re missing out on a new title that is sure to entice your curiosity. With these five books, you’ll be able to read some of the best novels during the month of November and get an idea of authors that you should keep an eye out for in the future.